At Beverly Hills Montessori, we are all about empowering young children to be self-sufficient and independent – and we think it should be no different with their food choices, preparations, and also lunchboxes! We will be sharing lunchbox ideas each month, but to start it all out, we have put together some tips on how to make your kitchen child-friendly, so your little one can become more independent at home, and can help you with lunchbox preparation as much as possible; just remember to keep everything age-appropriate. *Image sourced from How We Montessori. We suggest that you set up child-friendly shelves, both in the fridge and the pantry – you could even get a mini-bar fridge if this works for you, and keep your child’s utensils in a drawer they can reach. 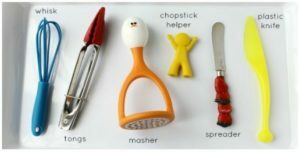 Make sure they have a cutting board, a blunt knife for spreading, fruit and egg slicers and cutters, tongs, or chopsticks at reach. Make it easy for them to make good food choices: store cut up veggies and dips in re-usable containers, as well as hard-boiled eggs – get your little ones to peel them, as this is a great way to practice fine motor skills –, fruits, cheeses, and whatever other snacks they enjoy, and place these in the lower shelves in the fridge. Make sure to also have a water jar or bottle, and some milk for their cereal – look for smaller bottles, 600ml or 1L are better for tiny hands than heavy gallons. Once you’ve set up their own shelves or fridge, it makes it easier to introduce new foods and ingredients to their diets. 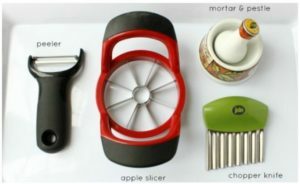 Simply place a new item amongst the foods they are used to, and they might just become curious and try it on their own. 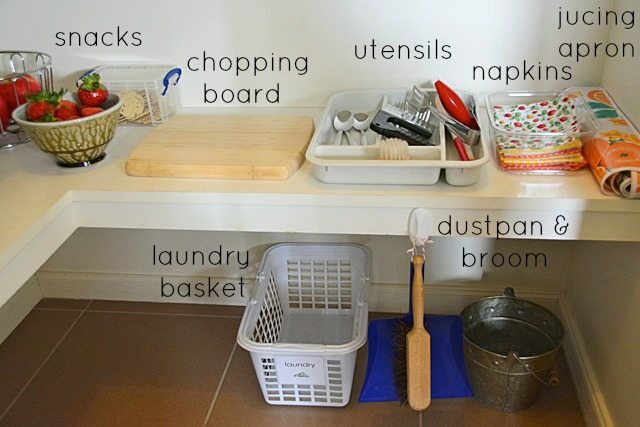 Having their own space also helps when you want to get them involved in putting groceries away. Have them help you with fruit servings – transferring blueberries to a small container is very safe and can be done by the youngest of sous-chefs! 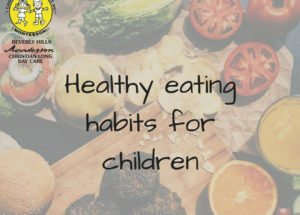 As your child gets older, have them prepare their own sandwiches, and once they have mastered concentration and motor skills, you can let them cut fruit or cheese slices – just make sure they have appropriate utensils, a cutting board, and, of course, keep an eye on them in case they need help. Remember that with children, presentation is key, so try to make healthy foods look appealing. Also, getting them involved in food prep will make them more prone to actually eating their lunches. If you’d like to learn more about the Montessori method and how we combine it with Christian values, book a centre tour today. We believe that what you will see in seconds will showcase the hard work and love we’ve put into our centre for the past 30 years!